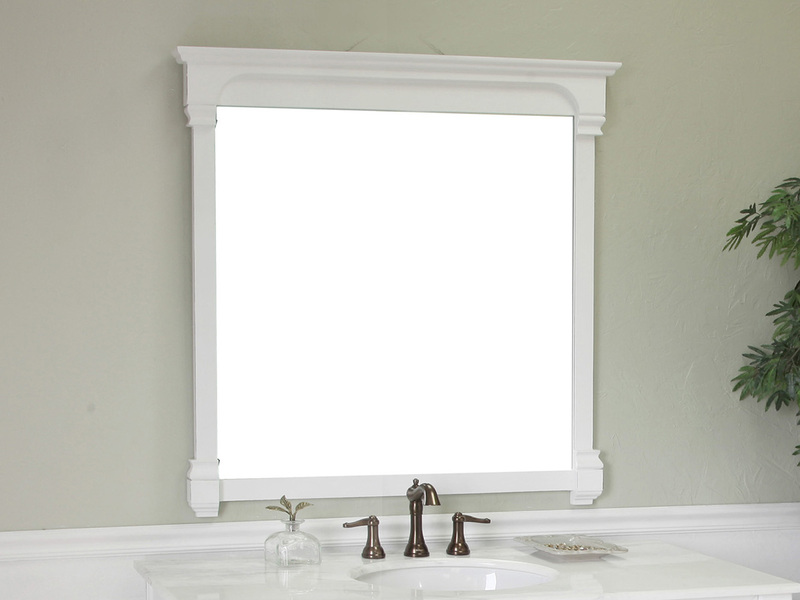 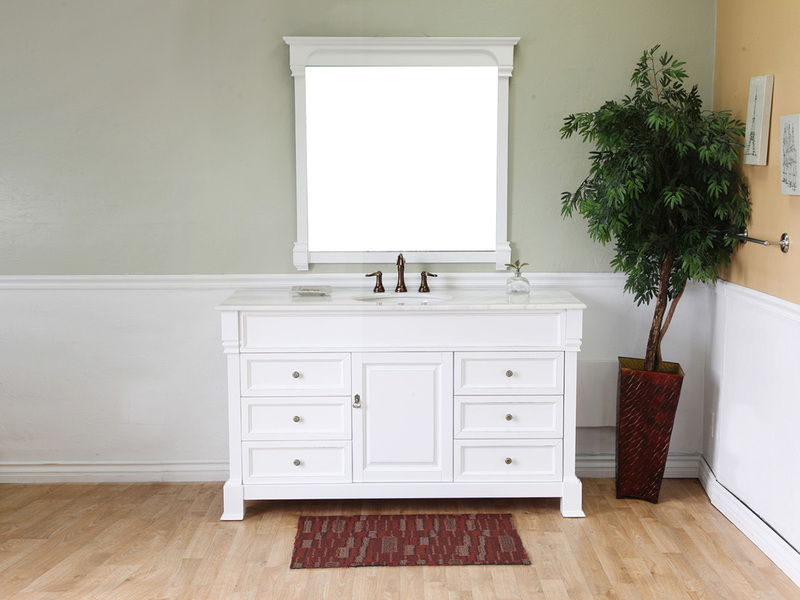 The Helena Grand Single Vanity has a great traditional look and feel with its beveled features and rubbed edge white finish that adds a little character to it. 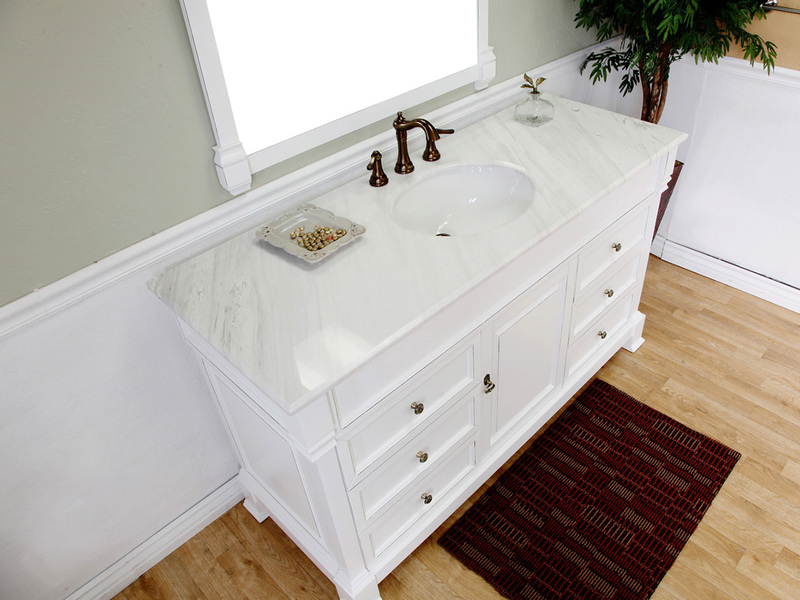 The vanity is topped with a beautiful marble counter, with a undermounted ceramic sink. 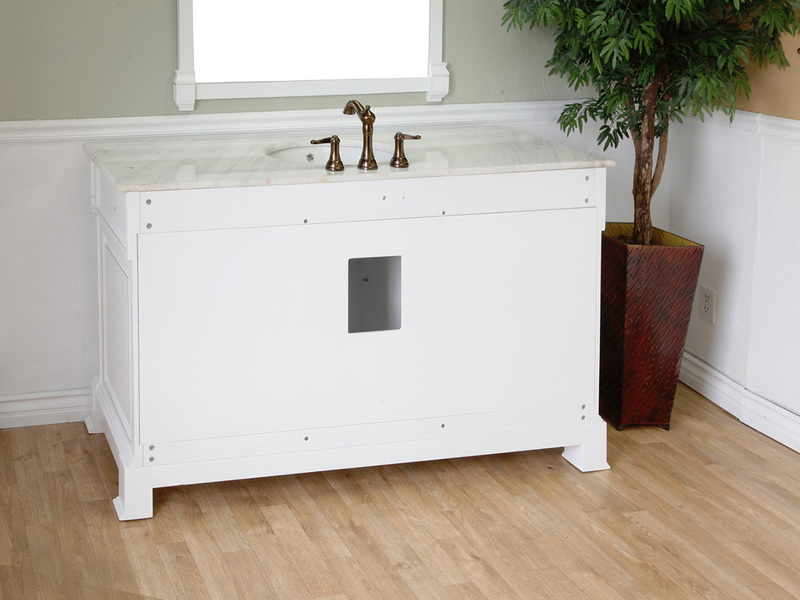 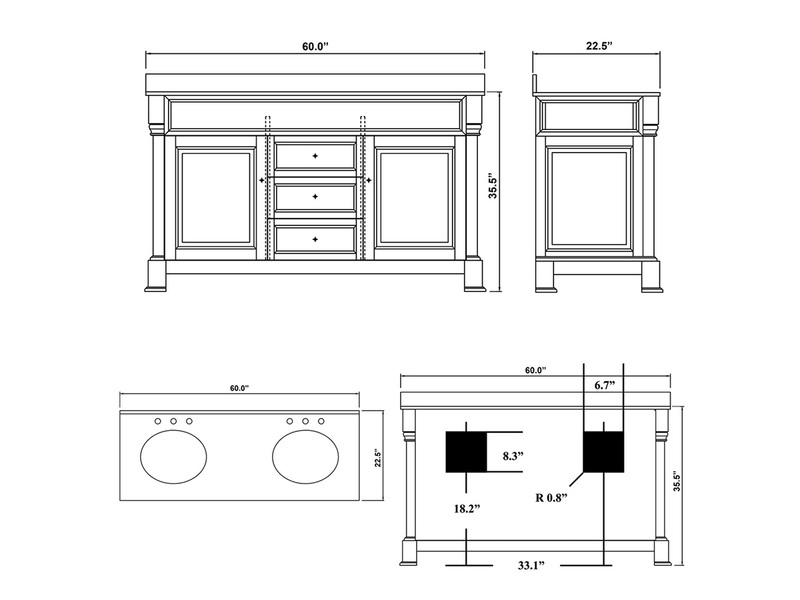 The spacious counter, six drawers and cabinet provides a variety of storage spaces for your bathroom necessities. 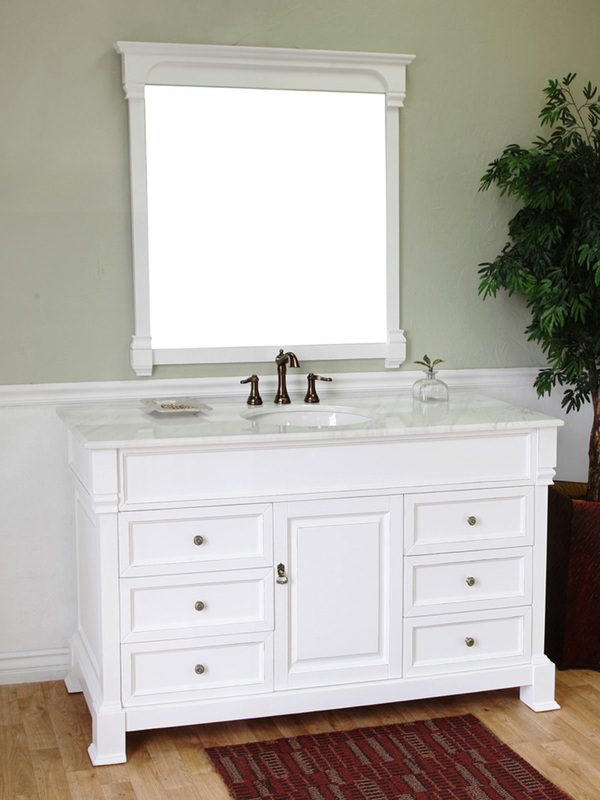 With its solid birch wood construction and water proof finish, this vanity is built to withstand humidity and preserve its great looks. 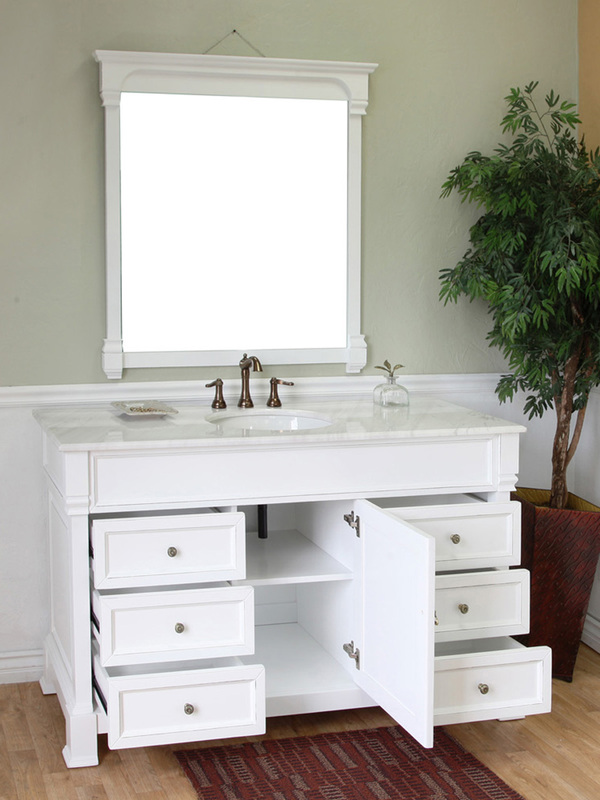 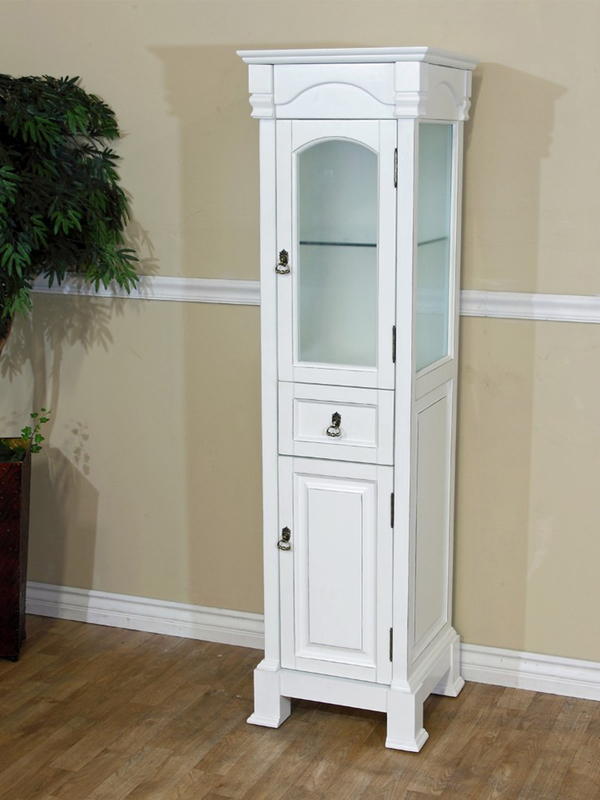 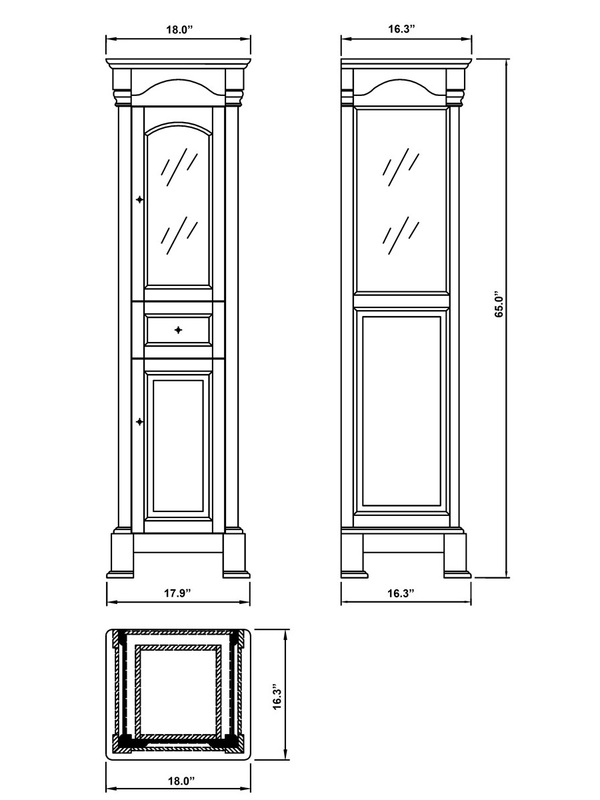 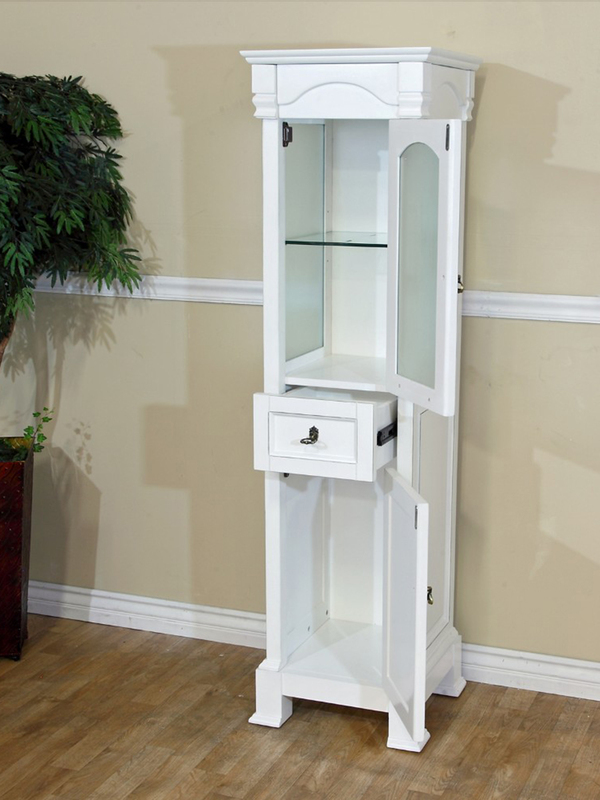 Optionally, a matching mirror and linen cabinet are available with this vanity, expanding its functionality.